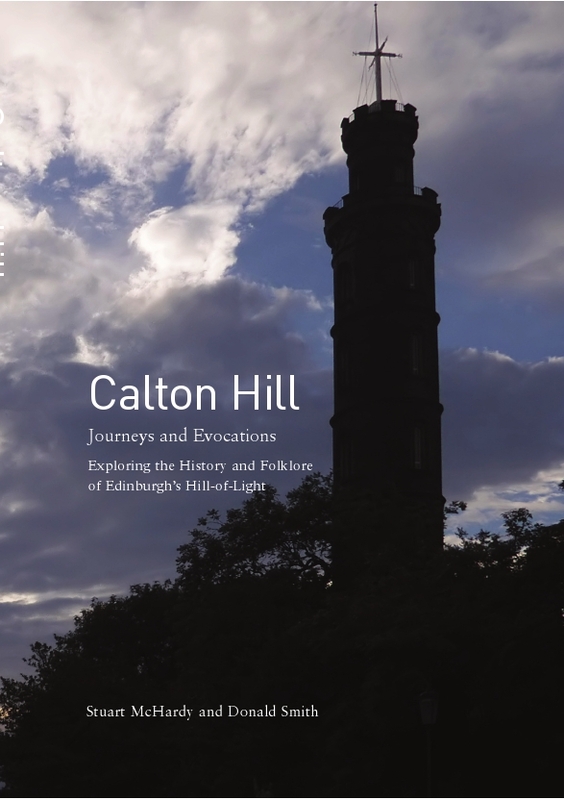 The launch event of Stuart McHardy and Donald Smith’s new book Calton Hill: Journeys and Evocations was like the chaotic array of monuments on the hill itself. It was haphazard in the best way possible, it was passionate, it was politically charged, and it was brilliantly representative of the history of a city of many conflicting dimensions. This was no bog standard book talk. Warm and sparkling raconteurs McHardy and Smith kept the audience at the Scottish Storytelling Centre rapt with stories, songs, poems, history, and stark black and white photography. It was, in McHardy’s words, ‘the jazz of place’. Keeping the event unpredictable, the two men took turns capriciously directing each other to photographs of the various monuments on Calton Hill, at which point they had to improvise around the subject. Naturally, this arrangement did not make for a structured evening, but it effectively showcased the many connections between the monuments, figures, and movements of different periods. An image of the National Burns Monument on the shoulder of Calton Hill, for instance, led to McHardy performing a folk version of ‘Scots Wha Hae’. He went on to suggest that, as well as William Wallace and Robert the Bruce, Burns had had the 1792 Scottish ‘Friends of the People’ society meeting in Edinburgh in mind when he wrote the song. This group of radicals campaigning for reform had been put on trial for sedition. This, in turn, led on to discussion of the Political Martyrs’ Monument in the Old Calton Cemetery. As McHardy said, this monument remains ‘a source of mystery to most Edinburgh people – what’s that Cleopatra’s Needle doing there? !’ McHardy brought out the contemporary relevance of these statues, pointing out that it is a disgrace that the Political Martyrs’ Monument is not more adequately signposted on the way into Old Calton Cemetery, and similarly that the history of the Enlightenment is privileged in Scottish universities over the eighteenth-century fight for democracy. As McHardy said, Calton Hill represents ‘the bubbling up of the reality of the people’. Donald Smith turned his attention at one point to the unfinished Parthenon on Calton Hill, also known as ‘Edinburgh’s Disgrace’. He recited a rousing poem by James Ballatine – Sir Walter Scott’s publisher – calling for the monument to be finished, but suggested that he was more inclined to agree with Duguld Stewart, himself also commemorated on Calton Hill, that the monument was better left unfinished as it has a beauty and appeal of its own: ‘Its incompleteness is more rewarding’. McHardy and Smith’s stories were not only entertaining. They added up to a fascinating index of the history, movements and individuals of Edinburgh’s past: intellectuals, radicals, nationalists, poets, rioters, officials, and unofficial, whose stories resonate with one another and whose struggles still have much to say. Thanks to Christopher Kydd for attending the launch and writing this piece for our blog.